This piece draws on several interviews I’ve had during the last few years with Stephen Sondheim and many of the women (and Michael Ball!) who have sung his roles and songs so brilliantly on both sides of the Atlantic. It’s about just one aspect of his work, but I hope it’s a fitting tribute to a man who has contributed so much to musical theatre – indeed, music itself – throughout the last half-century, as he celebrates a landmark birthday. To say that Stephen Sondheim writes exceptionally well for female singers and actors is to deal in a partial truth. The inference is that his male characters are of secondary importance. And of course nobody playing Sweeney Todd, singing in the all-male ensemble of the much-neglected Pacific Overtures, starring as Company’s distressed Bobby or the equally troubled Franklin Shepard in Merrily We Roll Along, or revelling in Giorgio’s glorious arias in Passion, has any need – or right – to feel short-changed. But the fact remains that his work has had a profound effect on the careers of many of the women who have been closely associated with his roles during the last 50 years. Where would people like Julia McKenzie, Bernadette Peters and Maria Friedman – who cites him as the reason for her career choice, having been enraptured by the 1980 London production of Sweeney Todd at Drury Lane – be if their professional paths hadn’t encountered Sondheim’s trajectory at critical moments? Hugely successful, no doubt. Such wide-ranging talent will always out. But certainly missing the depth, the experience and the kudos of an indelible association with his work. Each in her way can testify to the extraordinary sensitivity and accuracy of his writing for the female performer, whether strictly in character or taking a particular song away from its theatrical context and turning it into a standalone, solitary gem that reveals yet more meaning beneath the lyrics and the intricate melodies. And there is no getting away from the fact that in so many of his shows, the female characters often command the stage at critical moments. Follies, for all its multiple themes of nostalgia, the uneasy relationship between past and present, and coming to terms with the impact of time on youthful dreams, is also a celebration of the show girl in all her glory. Ben and Buddy have their show-stopping turns but much of the show’s bittersweet joy comes from the brilliant pastiche numbers and anthems that allow the women to relive their moments in the vaudeville spotlight: Sally’s torch-songs (“In Buddy’s Eyes” and “Losing My Mind”), Phyllis’s acerbic, teasing burlesque number (“Ah, But Underneath,” which replaced the original and more complex “The Story of Lucy and Jessie” when the show finally reached London in 1987), Hattie’s poignant take on the rather grim realities of the hoofer’s life (“Broadway Baby”) and of course Carlotta’s show-business survival anthem, “I’m Still Here”. Desirée Armfeldt is always the real focus of A Little Night Music while the relationship dramas unravel around her in three-time, culminating in the magnificent “Send in the Clowns” – Sondheim’s most popular and most abused hit – which marks her lowest ebb and the tragedy of bad timing. It’s become a calling card for every star who has played the role, from Glynis Johns and Jean Simmonds to Judi Dench. Sondheim told Dench, “It’s yours now,” when her wracked masterpiece of an interpretation was one of the highlights of the National Theatre’s 1995 revival. But Trevor Nunn’s recent production notably returned Desirée to young middle age with marvellous results. Hannah Waddingham gave a magnificently constrained performance in London, tears only falling in the final stanza to indicate the extent of her desolation. But here, too, is evidence of Sondheim’s ability to capture even a minor character in the moment: “The Miller’s Son”, sung by Petra the maid, is a perfect evocation of a young woman who knows exactly what her destiny is, and that however underwhelming the ultimate prospect of drooping bosoms and a matronly figure, that can wait a while. There are plenty of rosebuds to be gathered in the here and now. In Company, bilious, vodka-hardened Joanne has one of the standout numbers in “The Ladies Who Lunch”, a lascerating attack on herself and her own kind. Others have sung it to great effect but for many people the original, Elaine Stritch, still has copyright on the role. Just check out the D. A. Pennebaker documentary of the making of the 1970 cast album, as she wrestles with the song to the point of exhaustion, missing her mark, extemporising to Sondheim’s obvious dismay. Take after take slip by until you can almost taste the acrid, used-up atmosphere of the studio. Then she comes in the next morning and nails it with the first take of the day. “‘The Ladies Who Lunch’ is one of the toughest three-act plays I’ve ever done, you know what I mean?” she told me in a 2008 interview. She calls Sondheim a “romantic realist”. And she’s still singing the song in her one-woman show 40 years later, better than ever. For Bernadette Peters (Dot/Marie in Sunday in the Park With George and The Witch in Into the Woods), Maria Friedman (Fosca in Passion and Dot/Marie), Julia McKenzie (The Witch, Sally and Mrs Lovett in Sweeney Todd), the value of gift of a Sondheim role has been proved time and again. Each can, in many ways, define her career by the importance of his work in allowing them to demonstrate not only their talents as singers but as dramatic actors and comedians. And they have also proved adept at developing his songs away from their musical theatre roots. Peters’ signature tune, “Not a Day Goes By” (from Merrily We Roll Along) is invariably an emotional peak in her concerts, for example. 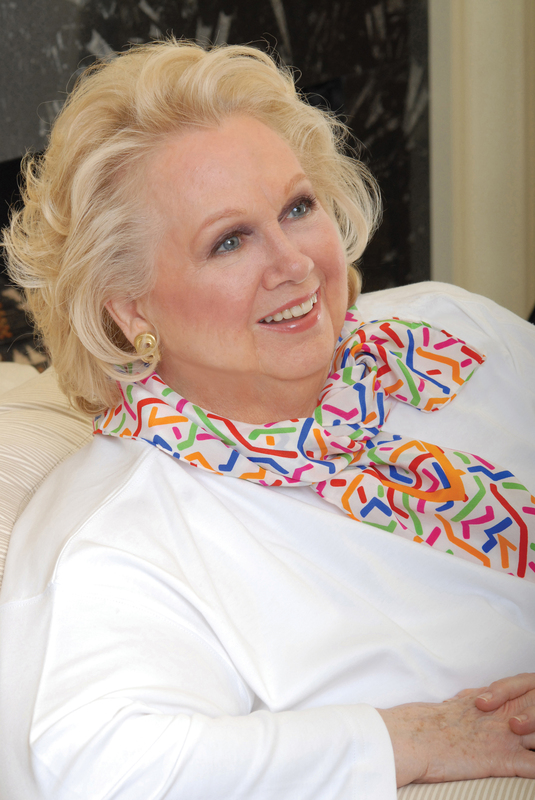 Like Friedman, Barbara Cook and many others, her repertoire is enriched by the Sondheim canon. Sondheim’s double-whammy skills as a lyricist and composer lie at the heart of this quality in his work. A few years back in an interview for Gramophone magazine, he told me that a song is written to reflect a character’s state of mind at that particular moment in the play. If a singer can find something beyond that, which gives the song an external life outside the play, all well and good – but that will always be incidental to the song’s primary meaning and intention. “But to have the songs interpreted in different ways helps to keep them alive,” he said. Patti LuPone: His songs are very dramatic pieces in their own right, so I don’t have to create another story to sing them out of context. You always want the piece to be universal if it’s going to live and his work is really brilliant in that universal way: there’s that whole concept of theatre, emotion, love. That’s what makes something like “Being Alive” [Merrily We Roll Along] or “Loving You” [Passion] so perfect.